The starting point of the bridal service journey is an initial consultation where we start building a picture of what your wedding day style might be. At this point you might already have a theme in mind or you might be looking for more direction. There are so many gorgeous looks we can create together and this session is all about brainstorming ideas. From natural and radiant to Hollywood glamour, or even vintage inspired, we will work together to find the perfect look for your bridal makeup so that you feel confident and beautiful. Once we have had our consultation the fun really begins and we can book you in for your trial makeup session. Bridal trials usually take place around 3-4 months before your wedding and I always advise that you book one in as it is important to get the look correct at this stage and ensure that the products we select suit your skin perfectly. 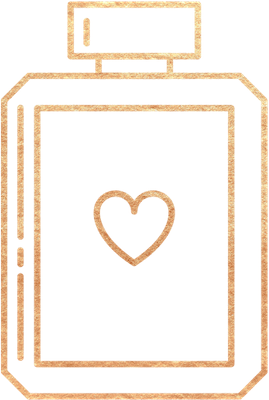 Sessions can take place at your home or another location depending on your preference and usually take around two hours. During your trial, we take everything we discussed in our initial consultation and start bringing it to life. We will explore your wedding theme in more detail and this is a great opportunity for you to bring along any inspiration from magazines that you love. Many brides love to create mood boards as a way to pull together all of their ideas and this is a fun way to start the process. We begin by discussing your favourite products and your current makeup and skincare routine. As every bride to be wants to have glowing skin on their big day we will also look at ways you can improve your current routine and I will advise you on beneficial products and treatments which will help to get your skin in tip top condition. Once we have a clear idea of your theme and what you are trying to achieve we get to work on choosing the best products, colours and techniques to best suit your look. 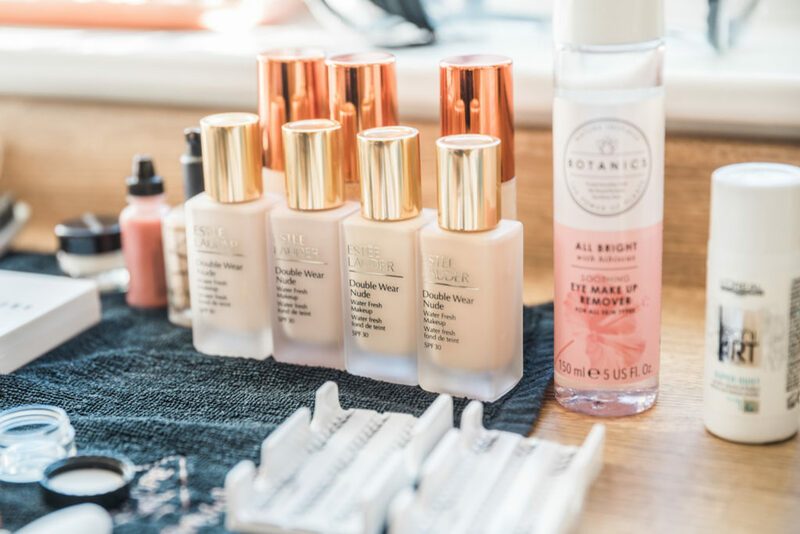 I only use premium beauty ranges such as Charlotte Tilbury, Chanel and Bobbi Brown which have been chosen for their innovative products and staying power, perfect for bridal makeup. Feeling good about yourself is the key to enjoying your wedding day and knowing you are looking at your absolute best is essential. I pride myself on making the bridal journey fun and relaxed from beginning to end. In order to re-create your bridal look seamlessly, your trial session is documented and you can share with friends and family prior to the big day to get their input if you wish. 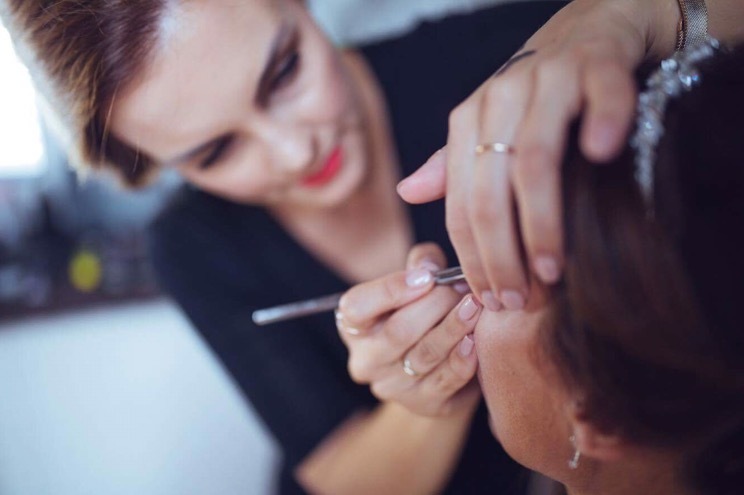 We also discuss timings and makeup requirements for bridesmaids and relatives at the trial and once your booking is confirmed, I will send you a schedule to ensure everything runs smoothly on the day. This is when everything we have worked on comes together! I will be on hand throughout to make sure everything runs smoothly and most importantly calmly. I love the energy of preparing for a wedding but I know that all that excitement can be stressful. I ensure that every detail is taken care of and your make-up is something you don’t need to worry about. Should you need any last-minute tweaks, a quick make up refresh or even help getting into your dress, I will be close by to help. Your make-up will take around 1 hour 15 minutes and I allow 30- 45 minutes for each member of the bridal party. 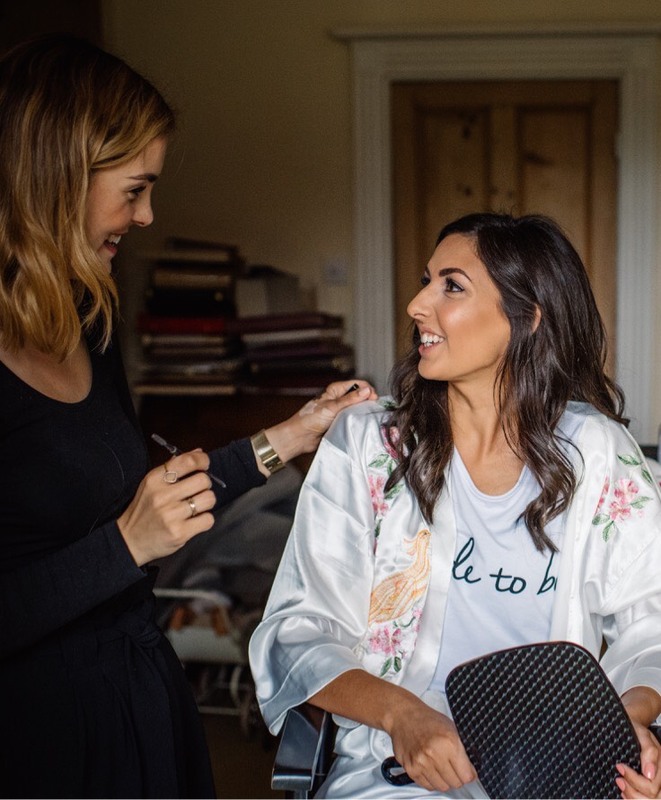 I will ensure there is adequate time (usually around an hour) after we have completed your make-up and your hair is also done, so that you can get into your dress, breath and relax before you have your first photographs of the day taken. 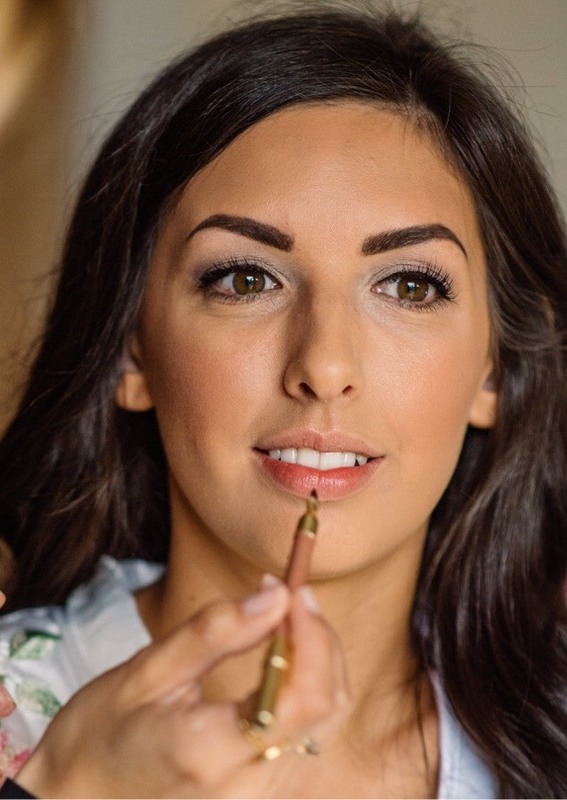 This is an ideal option for the Bride to be’ or bridesmaids who would like to do their makeup on the day but feel they need a little extra confidence boost to know exactly which products to use and how to use them to get the best look that will last all day and look great on camera! Using my own kit and products from your own make up bag, we will create the perfect look and I will teach you step by step how to achieve the look in an easy, do-able style. You will receive a face chart explaining what we have done, what products we used and where to use them with the correct make up brush so that you can refer back to practice and re-create on the day! It’s a great option if you are getting married abroad or simply enjoy the process of doing your make up but would like a helping hand and expert tips. You will also learn exactly what products to add to your make up bag and these you can carry on using, knowing they are perfect for you! In this lesson, I teach you how to achieve your ideal daytime make up look and then I show you techniques which you can use to develop this into a style which works well for the evening. If you feel you would like to have me on hand to provide a full refresh for the bridal party for the remainder of the wedding day and into the evening, then this service can be added on. This also works well if you are planning to change into a different dress for the evening and you want to update your make up to something a little more glamorous or evening party appropriate. Let me teach you the tricks of the trade! Make up is all about enhancing your best features, making you feel a more special version of yourself. Make up lessons include a face chart of the make up placement and a step-by-step guide on how to recreate it. Are you attending a big birthday, or maybe it’s your special birthday? Maybe going to an event, perhaps your prom, or even an awards ceremony. Let Sasha create the perfect look for your special occasion, so you’ll be camera-ready and feel your absolute best. Looking for a gift for a bride-to-be, or a beauty-obsessed friend? Or something special for Mother’s Day? Treat them to a gift voucher for use on any of Sasha’s services. Gift vouchers make a wonderful present and can be used towards bridal packages, make up lessons or event make up.